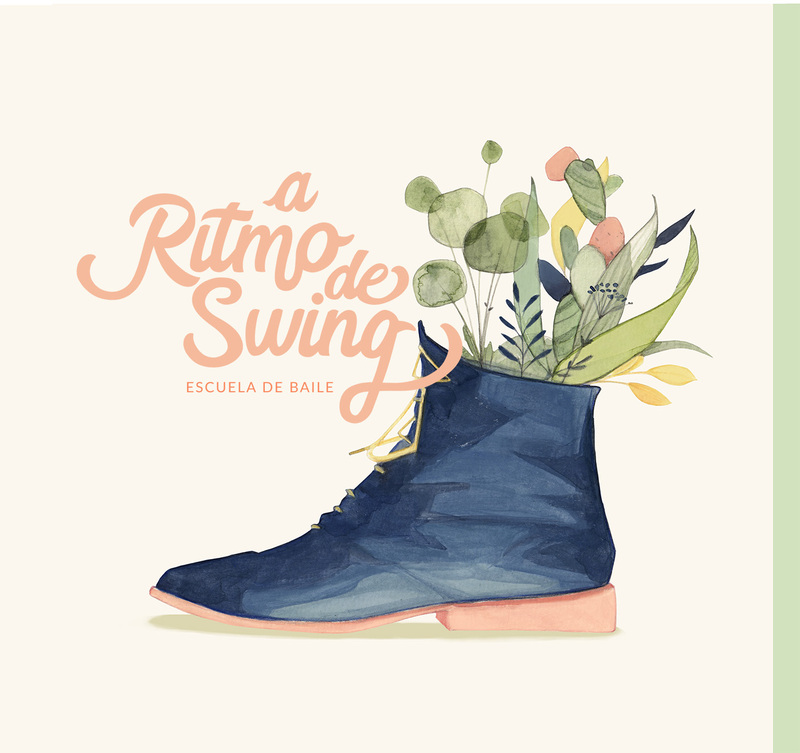 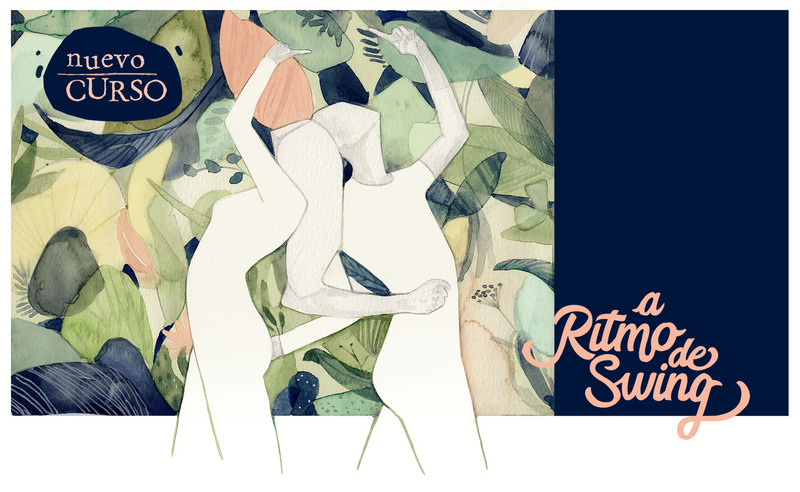 Design and creation of branding for the dance school 'A Ritmo de Swing'. 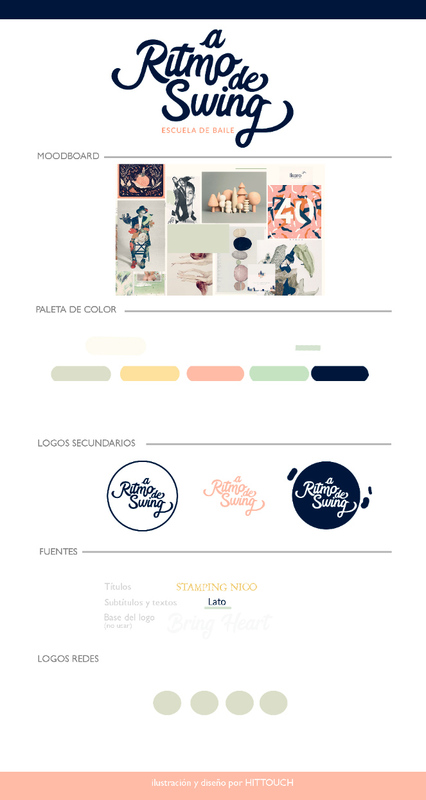 In addition to the logo, I made five images for web and promotional use and developed exclusive lettering and color palette. 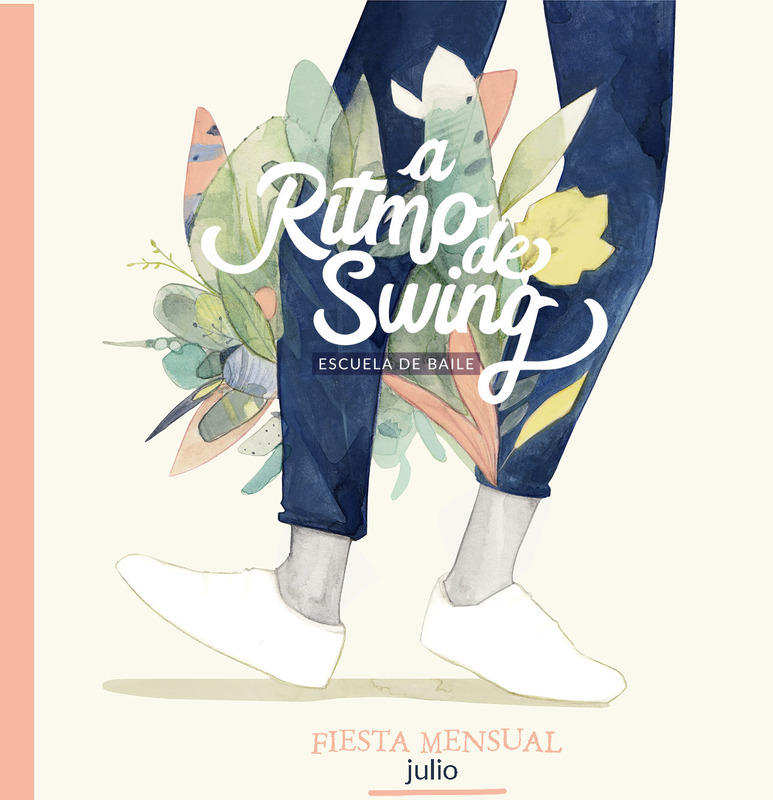 'A Ritmo de Swing' is a school in Madrid that has as its motto teaching 'swing is a language that can be spoken throughout the world'. 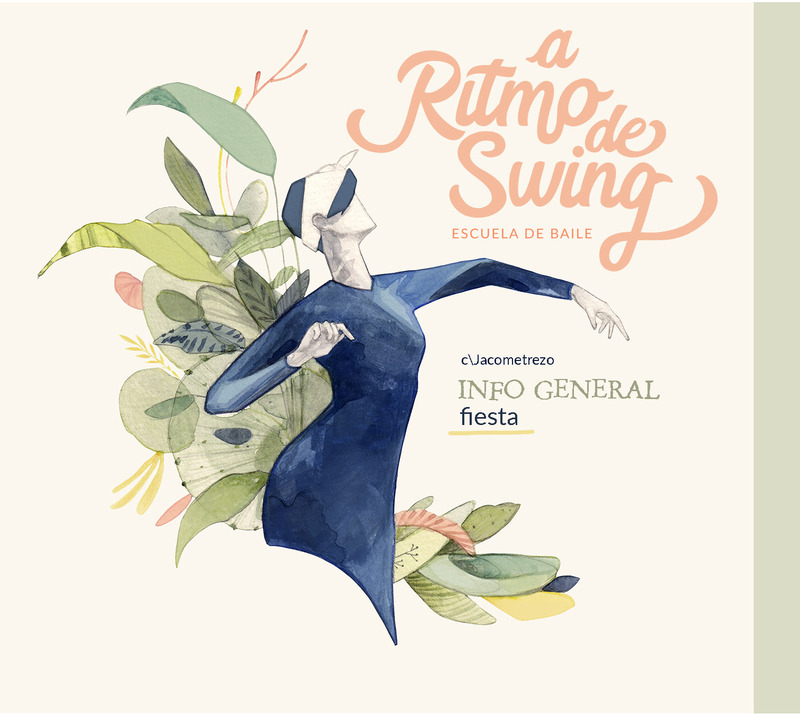 The corporal expression is a universal language and swing is another of my passions. 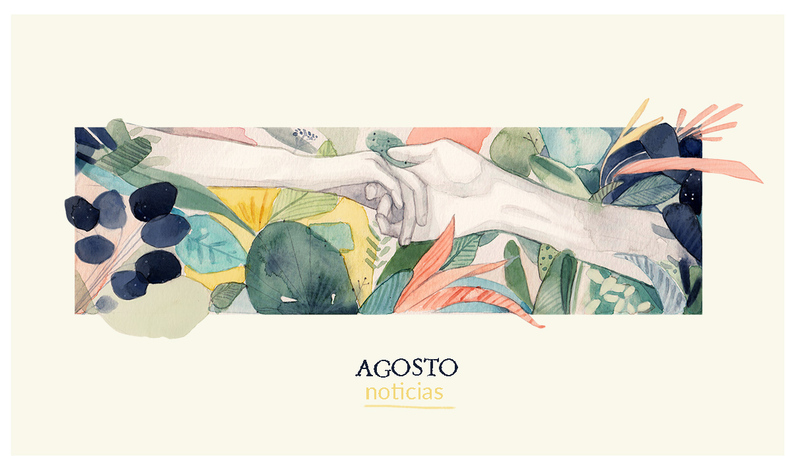 After several years also devoted to this art, I tried to throw some of my personal experience into the illustrations, looking for that subtlety and lightness that find harmony with the very nature of the human being, using their own feet to channel energy and technique.